The Natural Choice bakery on Agrippas Street, recessed in a nook across from the shuk in Nachlaot, might not catch your eye unless you already know it’s there. But once you find it, you’ll keep returning for an amazing selection of delicious “fresh” baked goods every week! The bakery, which relies mostly on word-of-mouth advertising, was established on Yaffo Street in 1987 and moved to its current location about 15 years ago. There’s a good reason it has lasted so long: it’s one of the only bakeries in Jerusalem whose every product is made with whole wheat flours, locally-sourced ingredients, and absolutely no chemicals or preservatives whatsoever. As a result, it’s usually swarming with excited shoppers. “We have customers of many, many years,” says Osnat, whose partner, Chezi Alon, is the bakery’s owner. About a year and a half ago, the bakery also opened up a small café next door, which sells some of its products and some unique items, like soups, fruit juices, and sandwiches. The concept for the bakery was born when Alon worked in the U.S. in the 1980’s and began to get involved with new health and fitness trends. 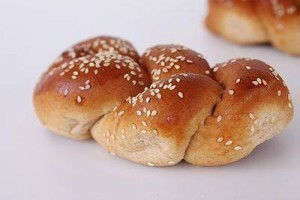 The bakery was created with the goal of bringing these trends to Israel. “The recipes started with some oatmeal cookies, and then we added breads, and cakes, and it organically developed. It’s a combination of what we thought was healthy and what we saw customers needed and advice from doctors,” Osnat explains. 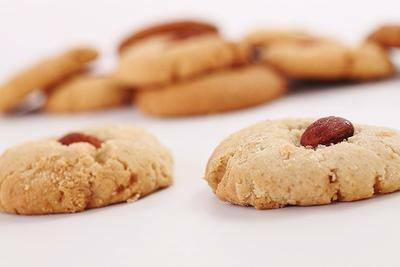 The Natural Choice bakery consults with several leading nutritional doctors on the contents of their baked goods, including Dr. Eli Strauss, Dr. Beuna de Mesqita, and Dr. Morgenstern. Offering over 100 different products, including 20 different kinds of breads, the Healthy Choice really is exactly what its name suggests. When they started, they mainly used whole wheat and rye flours, later adding whole spelt and white spelt flours. These four flours, weekly delivered in large quantities from abroad, are the basic building blocks of their recipes. Whenever possible, they are supplemented with high quality Israeli ingredients such as olive oil from the Galilee, locally grown fruits and vegetables, and locally made dairy products. Since the Natural Choice Bakery does not use preservatives or additives, the shelf life of their baked goods is shorter than that of other bakeries, so all of their products are not always available. To ensure freshness, the bakery sells products past their best-buy date at a 50% discount continuously throughout the week. Starting recently, the bakery will be open all night on Wednesdays and Thursdays. By strategically locating their bakery and cafe opposite the Mehane Yehuda shuk, the owners are able take advantage of great walk-in traffic. As a special attraction, their little eatery has amazing coffee, desserts and sandwiches. For anyone looking to enjoy delicious and unique baked goods while maintaining a healthy lifestyle—this is clearly the Healthy Choice. WellnessJerusalem salutes them for great customer service, healthy venue and originality.